✅Are you TIRED OF RENTING? ✅Do you want to finally invest in your future? ✅Do you want to BUY A HOME, but don’t know where to start? ✅Please Join me for a FREE Home Buyer and Credit Restoration Seminar ‪on Saturday, April 6 at 10am‬ in Duluth, GA! ✅Come and learn from our mortgage broker, Linda Stratton on how to get a loan, our inspector with JPJ Inspections on why it’s important to have your home inspected and hear from our closing attorney on about what happens at the closing table. We will explain the home buying process in detail and how we can help you remove inaccurate, obsolete, outdated and unverifiable information from your credit report and become qualified for a Home Loan. It’s a morning packed full of information!! For the past 2 years we have seen quite an increase on empty land being converted into gorgeous new construction homesites. This is occurring is all parts of Georgia; Buford, Grayson, Roswell, McDonnough, Atlanta; whichever area you desire. Why so many all of a sudden you ask? There is great demand for new construction home and for good reasons! There are many reasons to purchase a new construction home but here are some top ones. 1) Design Your Dream Home Your Way: Why settle for someone else’s choices when you can select your own cabinets, countertops, appliances, carpets and flooring? While you’re at it, you can choose gorgeous bath and kitchen fixtures, lighting and other options that you love. Your new home will reflect your style, not someone else’s taste. 3) All New, Under Warranty: A used home likely has tired products that may soon need replacing. Your new home — and the products that comprise it — are brand-new and under warranty. What’s the cost to replace a roof, appliances, countertops or a water heater on a used home? Those components of your new home feature the latest designs and building materials and should offer you years of comfort and enjoyment before needing replacement. That New Home Feel: A used home was someone else’s dream, not yours. It reflects their choices and family memories. You may learn to love avocado-green appliances (and you may be willing to scrub stained countertops or grease-encrusted ovens and cooktops) but more and more people prefer that never lived-in feel. 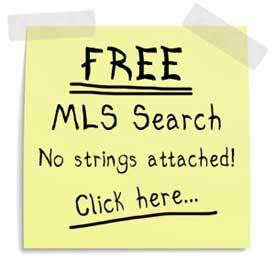 Contact me today direct at 678.805.SOLD(7653) or 770-495-5050 for a free consultation. Suwanee, Gwinnett County – An Awesome Place to Live, Work & Play! Suwanee is a great place to live,work and play. Close to Publix, Kroger, Sugarloaf Market, Fresh Market and so much more. Also 5 minutes from the heart of Suwanee, Suwanee Town Center, that has so many fun outdoor activities all year long. Great Peachtree Ridge schools and an overall friendly and welcoming community. Contact Leslene with the TG&G Group of Virtual Properties Realty today to find out more and if you are looking to move to the Suwanee area.